Civil Defense Experts, Councils and Government Agencies have long recommended you establish a back up water supply. Installing a rainwater harvesting system not only achieves this it also provides you with a free and independent source of water for life! 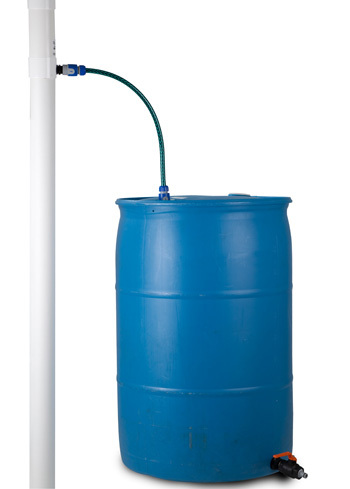 We have taken delivery of a limited number of recycled 220 litre plastic drums (Previously used to transport a fragrant disinfectant) ideal for garden irrigation – not recommended for drinking water. pre tank filters and plastic water tanks, make collecting clean healthy water easy. A chance to create your very own rainwater harvesting system for less than $200! Please note: most of our drums come in various shades of blue. The colour varies according to our source of supply.